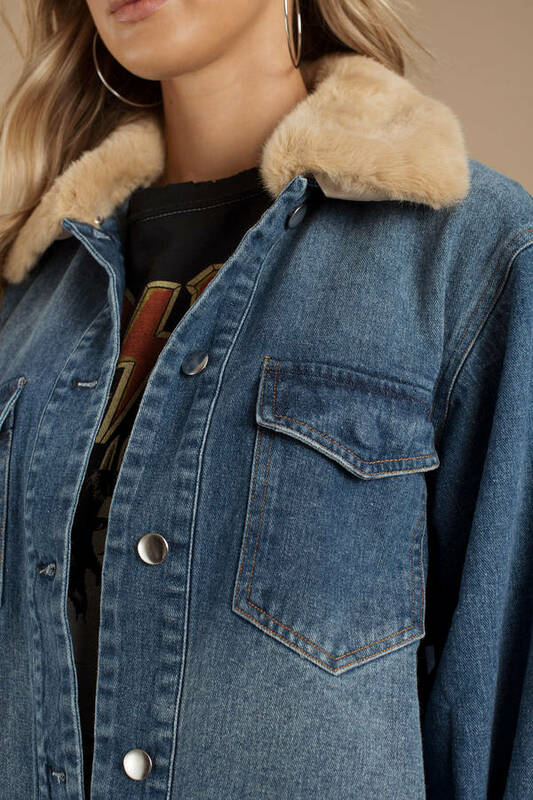 Check out Tobi's Sidney Denim Jacket We'll be feelin' faux fur forever. 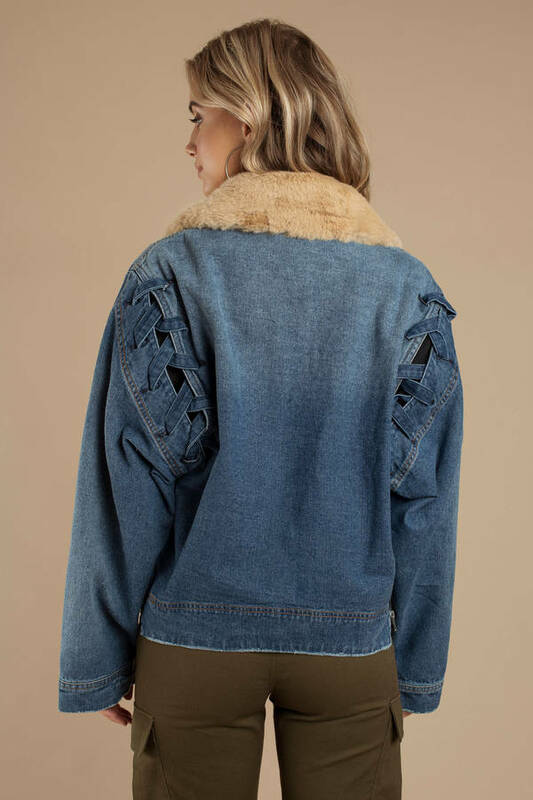 Tiger Mist's Sidney Denim Jacket is no exception. This trendy oversized jean jacket features gorgeous denim, large relaxed sleeves with lace up detail in the back, and an oversized faux fur collar. Step out into the cold and pair with dark high waisted jeans and ankle booties! We'll be feelin' faux fur forever. 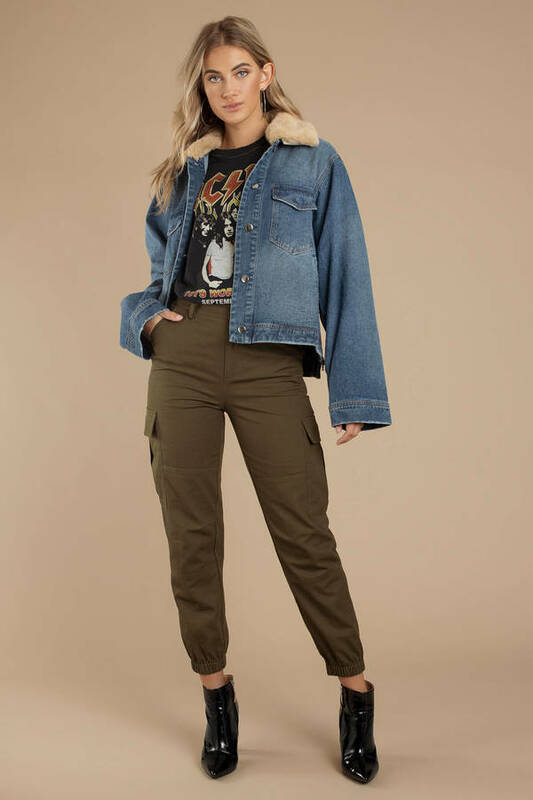 Tiger Mist's Sidney Denim Jacket is no exception. 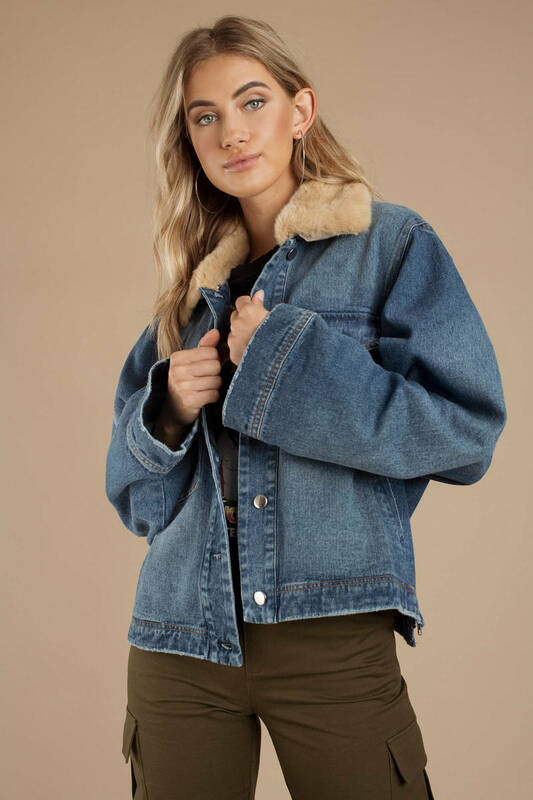 This trendy oversized jean jacket features gorgeous denim, large relaxed sleeves with lace up detail in the back, and an oversized faux fur collar. Step out into the cold and pair with dark high waisted jeans and ankle booties!